The Central government has acknowledged that there are reports of radicalization of youths in the North-east by ‘elements from across the Bangladesh border’. Minister of State for Home Affairs Kiren Rijiju on Wednesday admitted that radicalization efforts from across the border in Bangladesh are going on in the North-east. He also said that there are reports of some radical outfits trying to expand their network and activities in the region. The Centre on Wednesday also reiterated that the government is not considering any new bilateral agreement with Bangladesh on the issue of illegal migrants. Rijiju said the Union Government has an extensive engagement with the Government of Bangladesh on the issue of illegal migrants under various bilateral mechanisms like the Joint Consultative Commission, Foreign Secretary and Home Secretary-level talks, Joint Working Group on Security and Border Management, Joint Task Forces on Human Trafficking, fake currency notes. 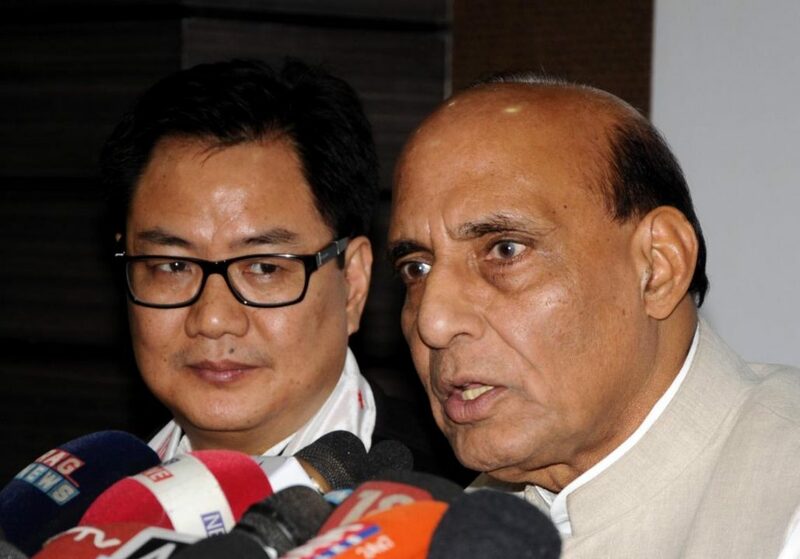 Earlier, Union Home Minister Rajnath Singh also described ‘religious radicalization’ as a serious security threat to the region and said if not checked in time, ‘it could lead to terrorism’. Singh, who reviewed the security scenario in the North-east with Chief Secretaries and DGPs of the region, also expressed concern over the proliferation of illegal arms and asked the DGPs to launch organized campaigns against arms smugglers. While admitting that most of the areas in the region are now free from insurgency, Singh further added that there is a need to keep all cadres of underground groups, which are engaged in peace talks with the government, in designated camps and ensure that they follow agreed ground rules.